DAYTONA BEACH, Fla. (Aug. 27, 2008) - America's newest road circuit is set to hold its first professional racing weekend, as the Grand-Am Rolex Sports Car Series presented by Crown Royal Cask No. 16 visits New Jersey Motorsports Park for Sunday's Supercar Life 250. The Daytona Prototype and GT classes will tackle the 14-turn, 2.25-mile Thunderbolt Raceway in the event - which will cover 250 miles (112 laps) with a two-hour and 45-minute time limit - at 1:07 p.m. Sunday. The race will be televised live on SPEED (1 p.m. ET Sunday). With only the season finale remaining following Sunday's race, the Supercar Life 250 will play a major role in determining the respective Rolex Series champions. Defending Daytona Prototype titlists Alex Gurney and Jon Fogarty have been able to trim the lead owned by Scott Pruett and Memo Rojas from 63 to 42 points (364-322) over the last two events. In GT, three teams are battling for the lead with only the Sunchaser 1000 on Sept. 20 at Miller Motorsports Park near Salt Lake City, Utah, following the New Jersey race. Pruett and Rojas lead the Daytona Prototypes with six victories in addition to second and third-place finishes in the No. 01 TELMEX Chip Ganassi Racing with Felix Sabates Lexus Riley. However, they followed up their season-worst finish - 13th in the Crown Royal 200 at Watkins Glen International - with a sixth-place outing in last weekend's event, the Armed Forces 250 at Infineon Raceway. While Gurney and Fogarty have won only one race this year in the No. 99 GAINSCO/Bob Stallings Racing Pontiac Riley, they have four runner-up finishes, including both of the last two rounds. "Sonoma was a very good result and we're keeping the championship dream alive," Gurney said. "We've come through a little adversity lately and managed to put up some nice podium finishes the last few races. Everybody on the team has stayed very focused even though we haven't rolled off the trailer super quick. The championship is still up in the air with two races to go and that's important. We'll need some luck but really just one hiccup at the start of the race for the No. 01 and we are right back in it." Michael Valiante and Max Angelelli scored their first victory of the season in dominant fashion in the No. 10 SunTrust Racing Pontiac Dallara at Infineon Raceway. Valiante started from the pole and led the opening 22 laps, while Angelelli paced the final 58 circuits. It was the first Rolex Series victory for Valiante, the first for the Dallara chassis in the division, and the 12th career triumph for Angelelli. AIM Autosport saw a two-race winning streak end at Infineon when Brian Frisselle and Mark Wilkins finished third in the No. 61 Exchange Traded Gold Ford Riley. Despite starting 16th, Frisselle led 17 laps midway through the event. The team has held the lead in eight of the last nine races. Brumos Racing continues its quest for the team's first victory since 2003. David Donohue is a three-time pole winner this season - tied with Valiante for the lead in that category - and he and Darren Law have three seconds and two thirds in the team's No. 58 Porsche Riley. JC France and Joao Barbosa finished in the top five in four of the last six races, with Barbosa setting the fastest race lap in three of them in the No. 59 Brumos Racing Porsche Riley. Looking to get back on track are Mexico City winners Jim Matthews and Marc Goossens in the No. 91 Riley-Matthews Motorsports Pontiac Riley, who have placed outside the top 10 in six of the last seven races after opening the year with three podium finishes. Other teams seeking their first triumph of the season include Alex Job Racing, with Joey Hand and Bill Auberlen in the No. 23 Ruby Tuesday Porsche Riley; Cheever Racing, with Christian Fittipaldi and Antonio Garcia sharing the No. 16 Crown Royal Cask No. 16 Pontiac Coyote; Michael Shank Racing, with a pair of Ford Rileys for drivers Oswaldo Negri, Mark Patterson, Ian James and John Pew; the two-car Krohn Racing Pontiac Lola team of Ricardo Zonta, Nic Jonsson, Eric van de Poele and Tracy Krohn; Bill Lester and Shane Lewis in the No. 3 Southard Motorsports Lexus Riley; Gene Sigal and Matt Plumb in the No. 7 Rum Bum Racing BMW Riley; No. 09 Spirit of Daytona Racing Porsche Coyote; and Memo Gidley and Brad Jaeger in the No. 77 Doran Racing Kodak Ford Dallara. The competition in the GT category tightens among three teams. With only two races remaining in the 2008 season, now is the time to show their best talent to earn the coveted championship title. Sylvain Tremblay and co-driver Nick Ham are inching their way closer to GT point leaders Kelly Collins and Paul Edwards, with only six points separating the teams (316-310). Ham and Tremblay have two victories and a second place finish in the past three races in the No. 70 SpeedSource Mazdaspeed/Castrol Syntec Mazda RX-8. After winning three races early in the season, Collins and Edwards have been off the podium in four straight events in the No. 07 Banner Pontiac GXP.R. However, they have the most top 10s of any GT team this year with 10 of 11 starts. Also in contention is the No. 57 Stevenson Motorsports team of Andrew Davis and Robin Liddell, and they hope to capture another victory as they did in Montreal. The duo is sitting first in number of GT class podium finishes for this season with seven, including three victories. The pair is tied for fifth in points with 300, only 16 behind the leaders. The top two championship contending teams will each field a second car at New Jersey. The Banner sister car, the No. 06 Pontiac GXP.R, is slated to be driven by team owner Leighton Reese and Marc Bunting. The SpeedSource sister car, the No. 69 machine driven by Emil Assentato and Jeff Segal, looks to rebound from three straight disappointing finishes. Their most recent misfortune occurred at Montreal when they were running third in class, pitted for fuel in the final laps, and Segal made contact with the wall after leaving the pits. Assentato and Segal captured a victory in June at Watkins Glen and have seven top 10s to their credit. Dirk Werner and Summit, N.J. resident Bryce Miller in the No. 87 Farnbacher Loles Racing Porsche GT3 look to get back to the podium after two consecutive second-place finishes midway through this season. Leh Keen and Eric Lux in the No. 86 Farnbacher Loles Racing Porsche GT3 would also like to have another podium finish after they were victorious at Mid-Ohio in July. The team's third car, the No. 88 Porsche GT3, is slated to be driven by Steven Johnson and Dave Lacey. TRG has entered four cars. The No. 65 TRG/Riegel Autosport Porsche GT3 is slated to be driven by Craig Stanton and John Potter while the No. 66 TRG Porsche GT3 will be steered by Ted Ballou and Spencer Pumpelly. The No. 67 TRG Porsche GT3 will be piloted by Tim George Jr. and Andy Lally. George currently leads the MESCO Rolex Series Rookie of the Year award standings and is also the front-runner for the 2008 Bob Akin Award. The No. 68 TRG Porsche of Bryan Sellers and RJ Valentine - one of the principals of the New Jersey Motorsports Park - rounds out the TRG entrants. Bryn Mawr, Pa.-based JLowe Racing has two cars entered in the Supercar Life 250 at New Jersey Motorsports Park. Team principal Jim Lowe and co-driver Jim Pace will be behind the wheel of the No. 63 Porsche GT3 while co-drivers Tim Sugden and Johannes van Overbeek will operate the No. 64 Porsche GT3. Rolex Series practice opens at 9:55 a.m. Friday, with qualifying at 1:50 p.m. Saturday. The Supercar Life 250 takes the green flag at 1:07 p.m. Sunday. 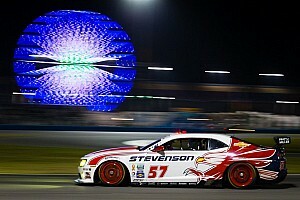 - This is Round 14 for the Grand-Am Rolex Sports Car Series presented by Crown Royal Cask No. 16. The Daytona Prototype race is 250 miles (112 laps) or two hours and 45 minutes, whichever comes first. - The green flag for the race is scheduled to fly at 1:07 p.m. ET Sunday. The race will air on SPEED at 1 p.m. ET Sunday (Leigh Diffey - Play-by-Play; Dorsey Schroeder, Calvin Fish - Analysts; Brian Till, Chris Neville - Pit Reporters). - All cars must make a mandatory pit stop prior to the 45-minute mark in the race, and each driver must complete 30 minutes of the race in order to earn points for their respective championships. - Saturday: Rolex Series Practice (9:15-9:45 a.m.); Rolex Series Trueman/Akin Practice (9:45-10:15 a.m.); Rolex Series Daytona Prototype Qualifying (1:50-2:05 p.m.); Rolex Series GT Qualifying (2:15-2:30 p.m.). - Sunday: Rolex Series Final Practice (8-8:30 a.m.); Supercar Life 250 (1:07 p.m.; 250 miles/112 laps/two-hour and 45-minute time limit). Scott Pruett and Memo Rojas hold a 42-point advantage (364-322) in the Daytona Prototype standings after six victories in 10 starts. They won the Rolex 24 At Daytona, the GAINSCO Grand Prix of Miami, the Bosch Engineering 250 at VIR, the Sahlen's Six Hours of The Glen, the Brumos Porsche 250 and the Porsche 250 presented by Bradley Arant in the No. 01 TELMEX Chip Ganassi Racing with Felix Sabates Lexus Riley. In the Brumos Porsche 250, Pruett passed Gurney on the final lap to win. Defending series champs Alex Gurney and Jon Fogarty won the rain-soaked EMCO Gears Classic at Mid-Ohio Sports Car Course in the No. 99 GAINSCO/Bob Stallings Racing Pontiac Riley. Marc Goossens and Jim Matthews won the Mexico City 250 in the No. 91 Bob Stallings/Riley-Matthews Motorsports Pontiac Riley, while Ryan Dalziel and Henri Zogaib earned their initial Daytona Prototype victories in the No. 2 SAMAX BMW Riley at Mazda Raceway Laguna Seca. Mark Wilkins and Brian Frisselle earned their initial triumphs in the Montreal 200, the closest finish in Rolex Series history, and backed that up with a victory in the Crown Royal 200 at The Glen. Max Angelelli and Michael Valiante - who have fought adversity all season - picked up their first victory last weekend at Infineon Raceway. Consistency and 10 top 10s - including three class victories this season - have the No. 07 Banner Racing Pontiac GXP.R co-drivers Kelly Collins and Paul Edwards atop the GT point standings, but only by six points (316-310) over their closest competitors, Rolex 24 At Daytona winners Sylvain Tremblay and Nick Ham in the No. 70 SpeedSource Mazda RX-8. 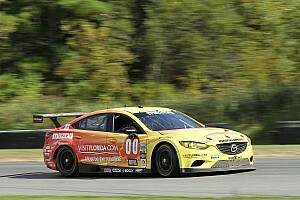 Tremblay and Ham have won three GT races this season. No. 57 Stevenson Motorsports Pontiac GXP.R co-drivers Robin Liddell and Andrew Davis also own three victories, and are only 16 points behind the leaders. No. 69 SpeedSource Mazda RX-8 drivers Jeff Segal, Emil Assentato and Nick Longhi won the Sahlen's Six Hours, while Eric Lux and Leh Keen drove the No. 87 Farnbacher Loles Racing Porsche GT3 to victory at Mid-Ohio. - Home Turf: Several drivers call New Jersey and the surrounding area home. Bryce Miller resides in Summit, while Pennsylvania natives include David Donohue (Malvern), Andrew Aquilante (Chester Springs), Jim Lowe (Bryn Mawr) and Matt Connolly Motorsports (Bethlehem). Rookie of the Year candidate and defending KONI Challenge GS champion Jeff Segal was raised in Philadelphia. Drivers from the New York City metro area include Mark Patterson (Bronxville), Guy Cosmo (Long Island; now living in Florida), Jerome Jacalone and Tim George Jr. (New York City), Andy Lally (Northport; now living in Georgia) and Emil Assentato (Locust Valley). - Close Finishes Dominate Rolex Series: The Rolex Series has had close finishes all season. While the season-opening Rolex 24 At Daytona had a two-lap margin of victory, the 11 Daytona Prototype races since then have been decided by a total of approximately 15 seconds. In addition, nine of the 10 "sprint" races have been decided by 1.986 seconds or closer - with five races decided by less than one second. In addition, the Series has recorded its two closest finishes in the last five races, with both the Daytona and Montreal events decided on last-lap passes. - Brumos Continues to Surge: The No. 58 Brumos Racing Porsche Riley of David Donohue and Darren Law opened the year with four finishes of 11th or worse, putting the drivers outside the top 20 in the standings. Since then, the pair has reached the podium five times, and in the Montreal 200, Law ran out of gas while leading shortly before the finish line and took third. The pair has moved up to a tie for fifth in the standings. The No. 59 Brumos Porsche Riley of JC France and Joao Barbosa have also been surging, with the two tied for ninth in the standings. They have finished in the top five in four of the most recent five races, with Barbosa setting the fastest race lap in three races this season. - Returning to Action: Spirit of Daytona Racing's last race was scheduled to be at Watkins Glen International, but the team is entered this weekend with Guy Cosmo and Marc-Antoine Camirand. Level 5 Motorsports returns with Scott Tucker and Ed Zabinski, PR1 Motorsports is entered with Patrick Barrett and Mike Forest and O'Connell Racing will showcase Kevin O'Connell and Kevin Roush. Gotham Competition is fielding a car for Joe and Jerome Jacalone, and Phoenix Performance will seat Andrew Aquilante and John Heinricy behind the wheel. - Debuting This Weekend: South African driver Dion von Moltke will debut in the Rolex Series GT class with Jordan Taylor in the No. 30 Racers Edge Motorsports Mazda RX-8. Von Moltke is a regular on the KONI Challenge Series Street Tuner circuit, driving for APR Motorsport. - Farnbacher Brings Five Cars to New Jersey: Farnbacher Loles Racing will have five cars competing, including three from its stable, this weekend. The team's Nos. 86, 87 and 88 Porsche GT3s have been staples on the circuit this season, and the outfit has also prepped the Nos. 63 and 64 Porsche GT3s from JLowe Racing. - Daytona Prototype: 1. (tie) Scott Pruett, Memo Rojas (364); 3. (tie) Alex Gurney, Jon Fogarty (322); 5. (tie) Darren Law, David Donohue (292); 7. (tie) JC France, Joao Barbosa (284); 9. (tie) Brian Frisselle, Mark Wilkins (282). - GT: 1. (tie) Kelly Collins, Paul Edwards (316); 3. (tie) Sylvain Tremblay, Nick Ham (310); 5. (tie) Robin Liddell, Andrew Davis (300); 7. Tim George Jr. (265); 8. Bryce Miller (253); 9. Ted Ballou (249); 10. Spencer Pumpelly (245). - MESCO Building for the Future Rookie of the Year: 1. Ricardo Zonta (277); 2. Tim George Jr. (265); 3. Ted Ballou (249); 4. Matt Plumb (245); 5. Brad Jaeger (225). - Pruett, Ganassi Continue Winning Record: Scott Pruett and Chip Ganassi continue to set records for overall wins in the Rolex Series. Pruett notched his 20th overall win in the Porsche 250 at Barber Motorsports Park, now seven more than second-place James Weaver. In turn, Ganassi earned his 21st win - all in Daytona Prototypes - nine more than SunTrust Racing. - Pontiac Owns Class Win Record: With nine class victories this season, Pontiac has passed Porsche for all-time class wins. Pontiac owns 53 class wins, while Porsche, which won for the only time in 2008 in GT at Mid-Ohio, has 50. Shane Lewis (No. 3 Southard Motorsports Lexus Riley): "As a driver, you always want to be the first to win an event at a new facility. No one ever forgets that; not the fans, not the officials and certainly not the other drivers. There is also something special about being the first professional series at any track. You never know what will happen, that's for sure. It will be a memorable race no matter what. Matt Plumb (No. 7 Rum Bum Racing BMW Riley): "It is a spectacular facility. 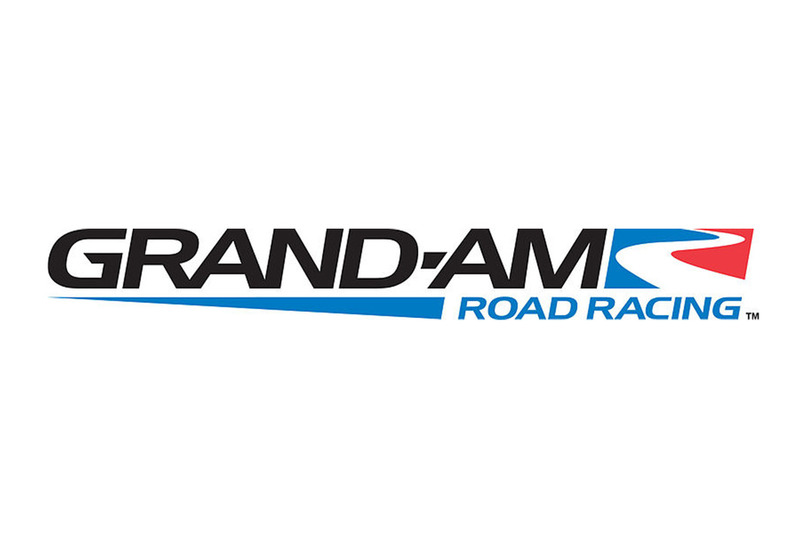 It's enormous, so it will be able to support large amounts of Grand-Am fans. The facility has new, state-of-the-art garages, there's nothing they didn't think of to hold a big race. The infrastructure's all there. The track is very cool. It's fast, with a lot of interesting corners. Obviously, there's been some thought put into it, and obviously, an incredible amount of money. It looks like hundreds and hundreds of acres. They certainly spared no expense." Michael Valiante (No. 10 SunTrust Racing Pontiac Dallara): "I've seen a video of the track on YouTube, and that's about it. It's a new track, so it will be a learning experience for everybody. It looks like a really nice facility. It'll be new to everyone, so I think that'll be good in a way for us since it's a track no one else has driven on, either. It's hard to see even from the in-car camera just what to expect. It just looks really quick, and our car's been strong on fast tracks. So, I think it should be a good race track for us. And the facility looks quite nice. I'm looking forward to going. A lot of people have described the track as being a lot like VIR (Virginia International Raceway). But I can't say, either way. I'll just have to wait to decide what I think of it until I get there." Diego Alessi (No. 21 Matt Connolly Motorsports Pontiac GTO.R): "Thunderbolt is a circuit we all now must discover for the first time. New Jersey looks to be a very smooth track with the new asphalt, so I believe it will ideal for the Porsches. As with any new track surface the grip will increase each session, so there will be no reason to push too hard at the beginning, which is my normal routine as I'm learning each of the American circuits this season. The team is running well and will to continue that trend while continuing to develop our performance level. I know we can still improve our results before the end of the season, and still have the goal of a win before the end of 2008, this seems like a track you can pass on and we're looking to put on a great show for the fans." David Donohue (No. 58 Brumos Racing Porsche Riley): "I am very much looking forward to going to Thunderbolt for a lot of reasons, not the least of which is that of all the tracks we race on this season, it is actually the closest to my home. I've been out to the location for a brief visit and it looks as if it will be a premier facility very soon. The layout looks to be challenging, maybe not with a very high top speed, but with a lot of fast corners and interesting elevation changes." Dirk Werner (No. 87 Farnbacher Loles Racing Porsche GT3): "I think New Jersey will be a very exciting race for us. It's Bryce's home track and he will have some guests there, so we are putting a lot of effort into this race. Hopefully, we'll get a win by the end of the season. The team also has a new challenge - it's bringing five cars to the track. But I'm sure they can manage to make all five cars fast. I'm looking forward to the new track. It looks very exciting on the track map." Jon Fogarty (No. 99 GAINSCO/Bob Stallings Racing Pontiac Riley): "We feel good coming off the last two races with podium finishes. It is that type of consistency that you need to win championships and I finally feel like we are back in our groove. We will need some exceptional luck to take the championship, but we are pushing ahead and fighting as though it is there for our taking. "Visiting a new track is always interesting. I have scoured the internet for as much info as possible and there is quite a bit despite how new the track is. Looks like it will be quite fast, which I like, but passing opportunities look slim. Qualifying and track position will be key. "The team is being pushed hard from a logistics standpoint with opposite coast races back to back, but I know they are the best in the business and the GAINSCO car will be ready to go. Our engineer Kyle Brannan has done his homework to make sure the car is fast. Alex and I just need to get in and learn the circuit ASAP so we can make the car the best it can be. That is another challenge but that is why I love this sport."